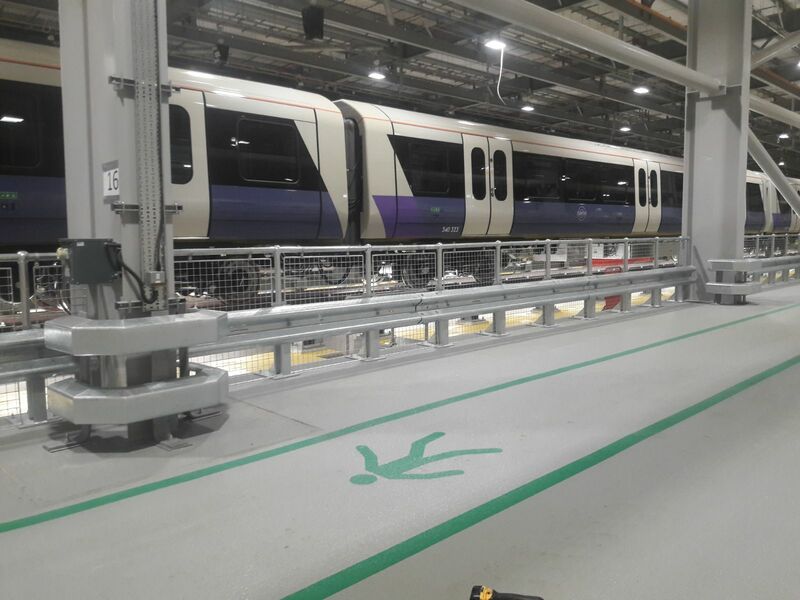 CT Safety Barriers were awarded the contract to install various safety protection equipment at the new Crossrail Depot in White City, London. 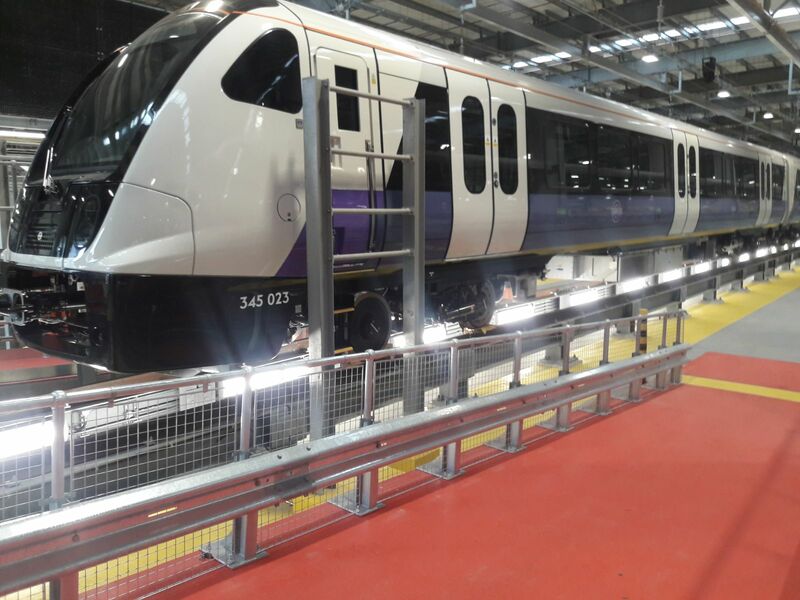 The Crossrail depot will play a critical role in the day to day operations of the brand-new Elizabeth line which is said to fully open in December 2019. 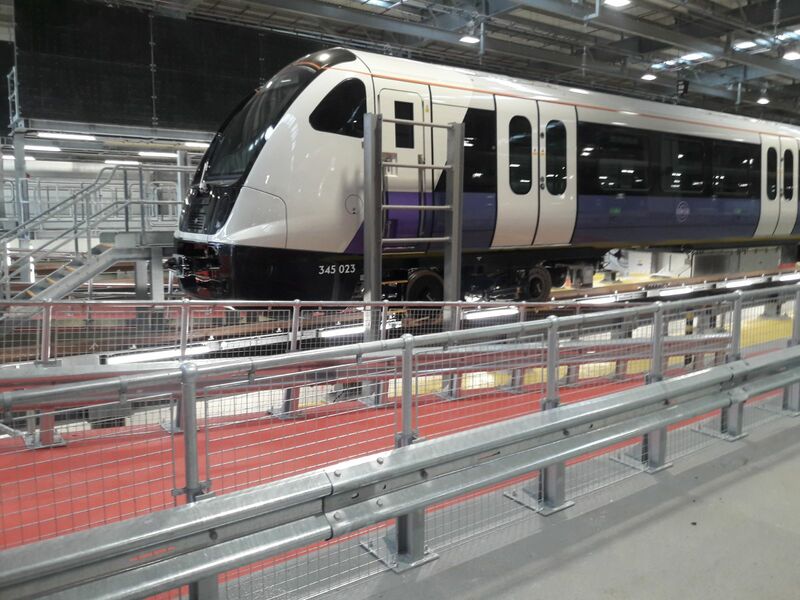 The new depot, which begun operations around May 2018, is capable of housing and maintaining up to 42 of the 70 trains the Elizabeth line will have at launch. 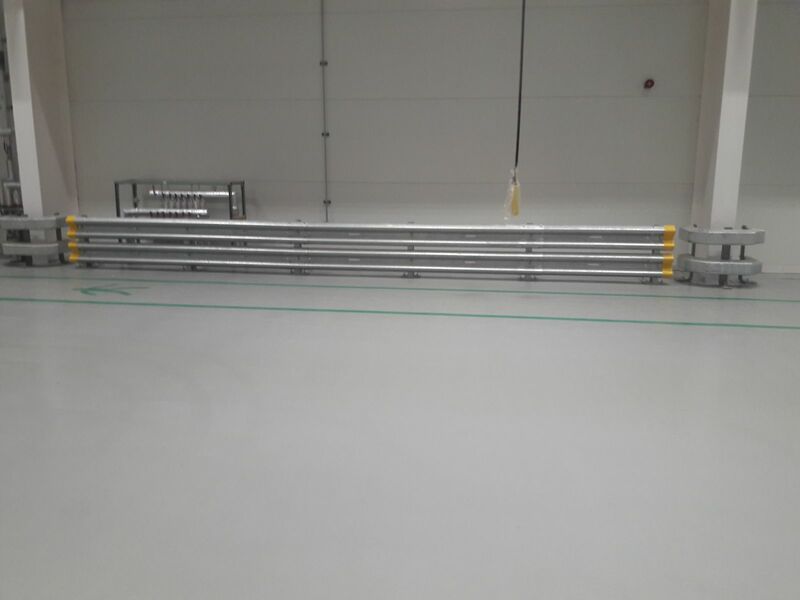 Therefore, it was important for them to have high-quality safety products installed to keep their engineers & assets safe & secure in the workplace. 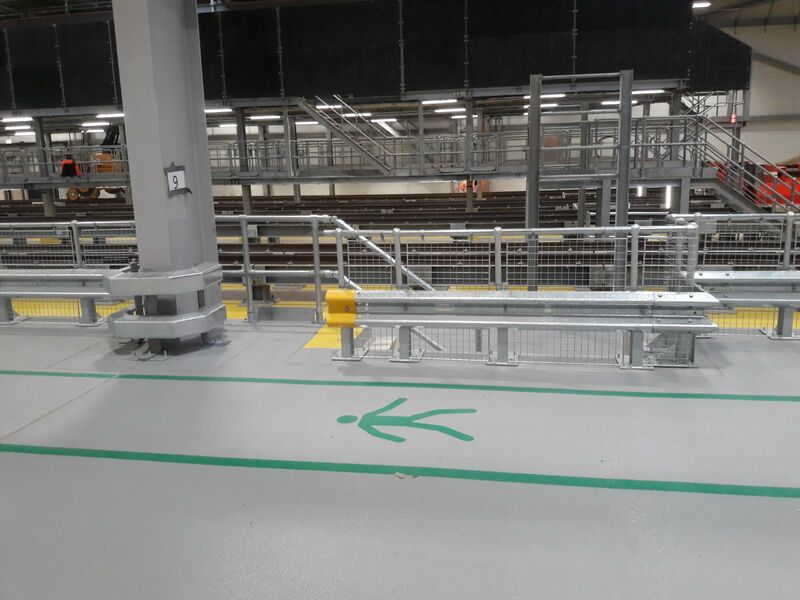 We have put together a list of all of the safety products we were asked to install at the new depot and created a case study of sorts for you to take a look through. 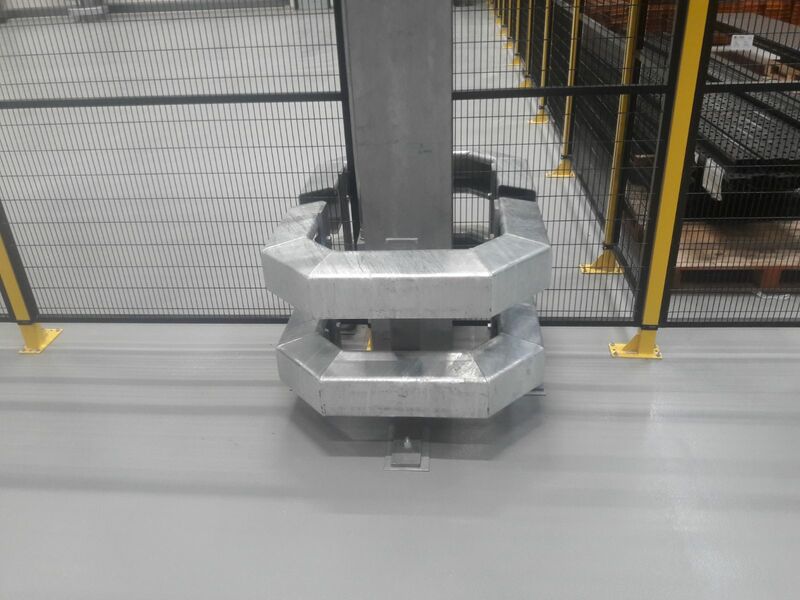 Throughout the Crossrail Depot, we installed column protectors to protect support columns from damage via vehicle or machinery traffic. They also help protect the structural integrity of the site and prevent costly repairs by protecting the support columns from taking the impact. 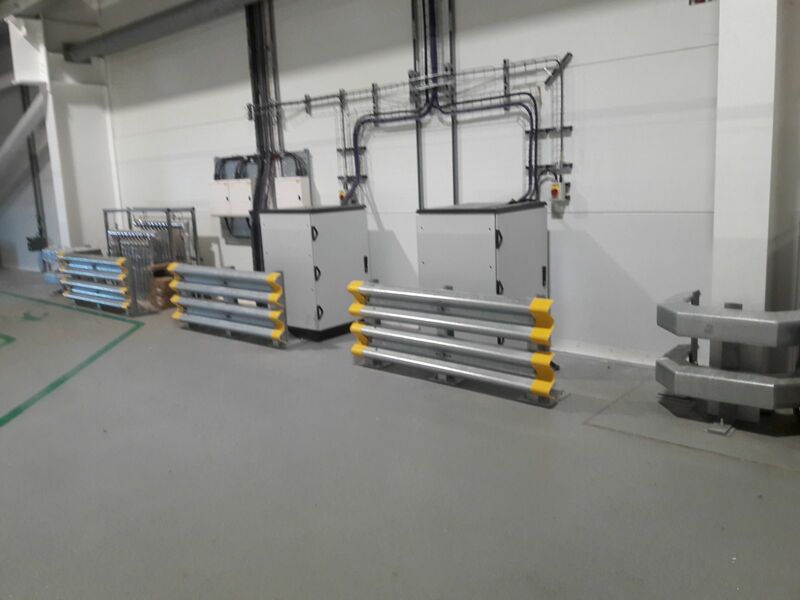 Armco barriers with double height provide a heavy-duty solution for industrial areas. 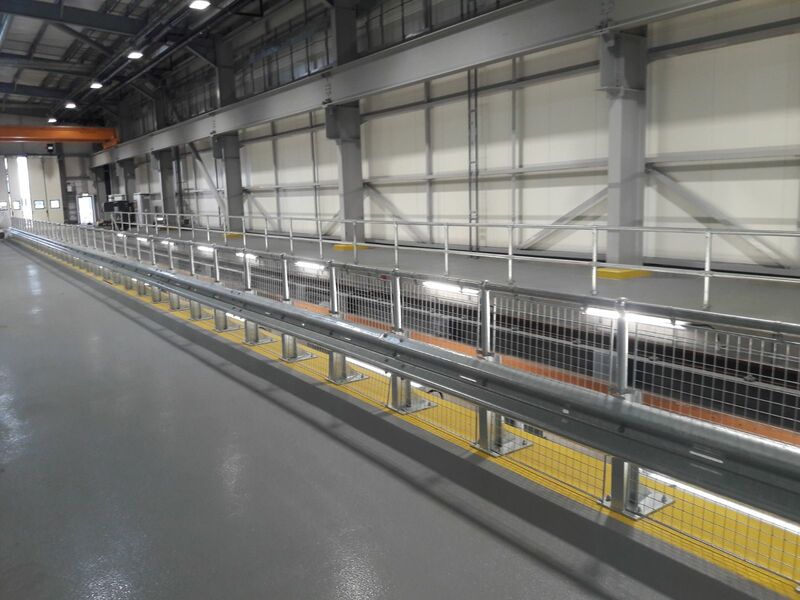 The barriers we installed at the Crossrail depot are ideal for protecting people and assets from vehicle & machinery damage. 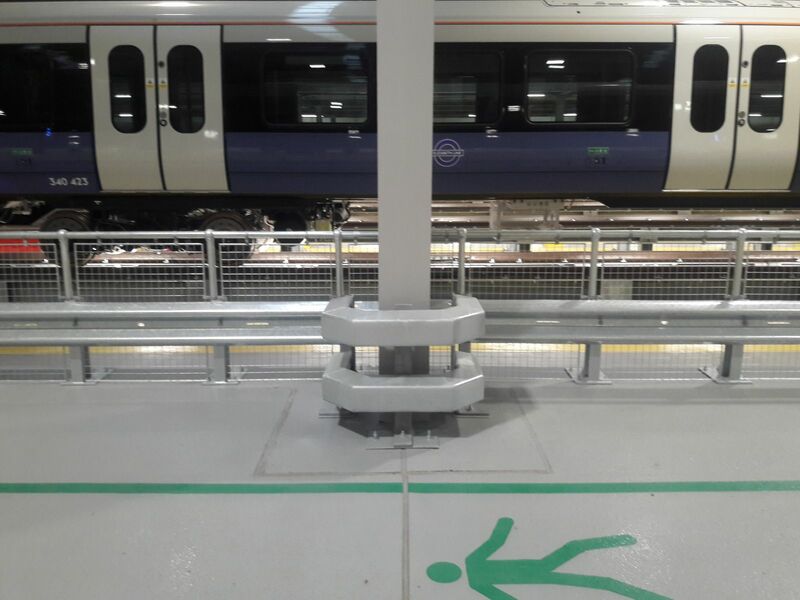 We installed Armco barriers with integrated handrails at the Crossrail depot to provide the necessary pedestrian protection required. With the depot being critical to the new Elizabeth line, it’s vital the engineers are kept safe in their workplace. 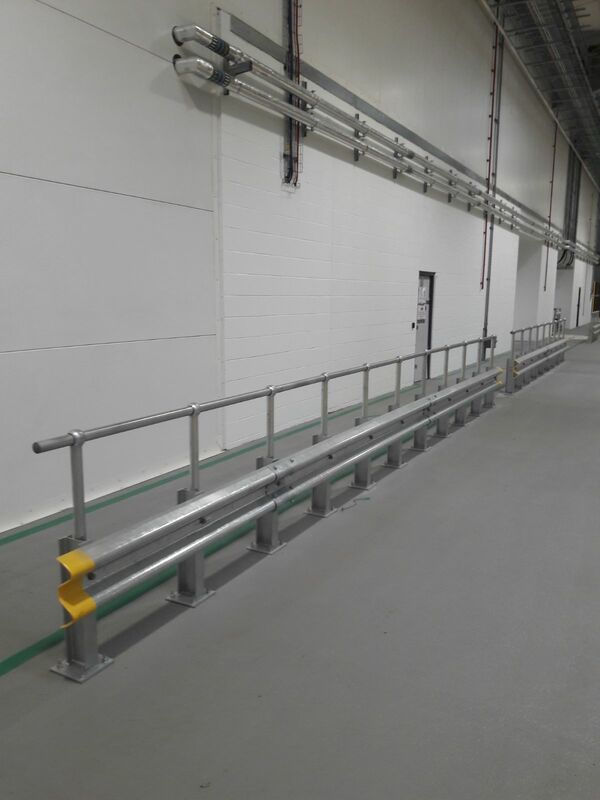 Armco barriers with integrated handrails and mesh were installed along the walkways to completely secure the depot’s engineers from hazards. The added steel mesh is very strong and durable whilst being light and easy to handle. 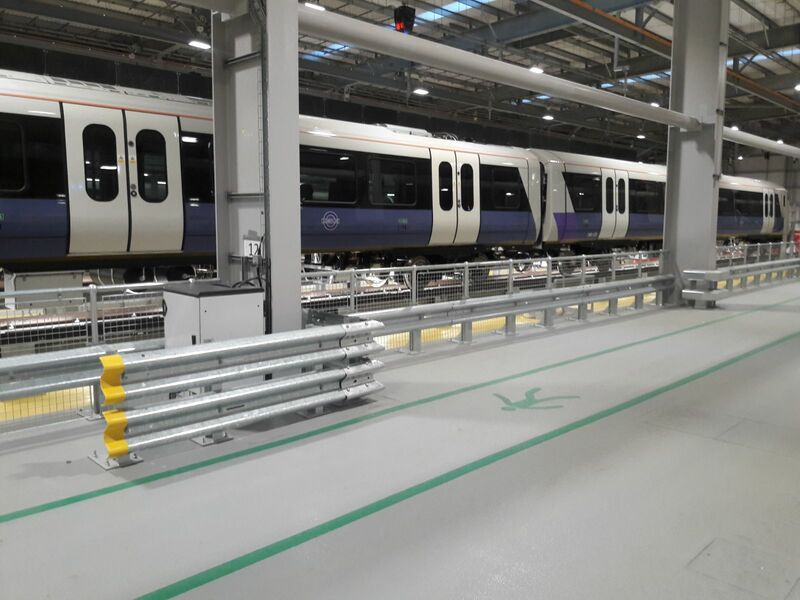 Once we had finished installing all of the Armco barriers and safety products at the Crossrail depot, they were thrilled with the results. 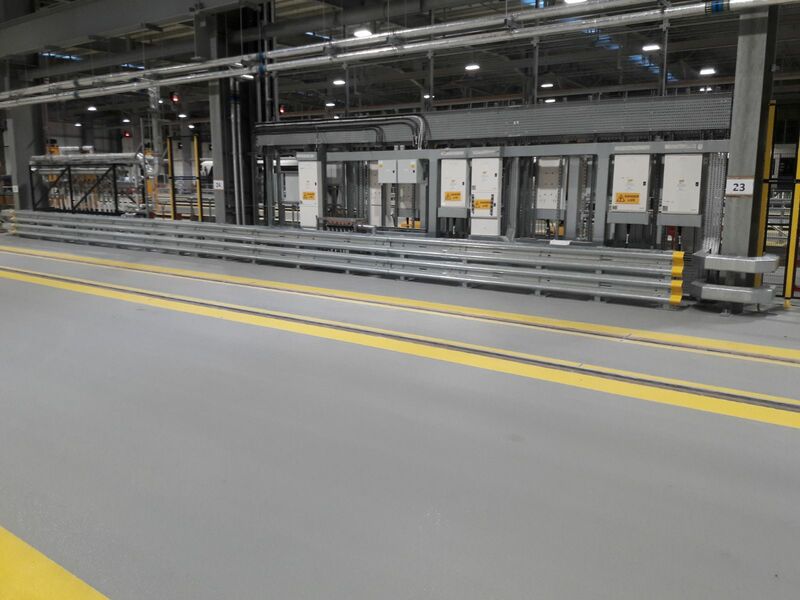 The new depot was now conforming to security regulations and more importantly, their engineers and other members of staff could rest easy knowing they were protected in the workplace. 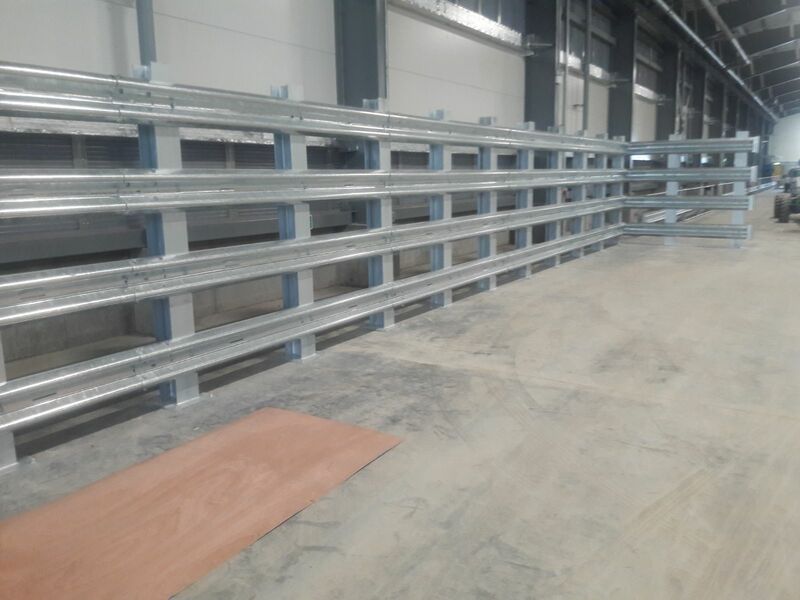 If you have any questions or would like to get in contact with us, please do not hesitate to call us on 01977 666 818 or email us at sales@ctsafetybarriers.co.uk. Copyright © 2019. CT Safety Barriers Ltd | All rights reserved.